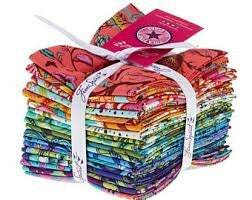 BRAND NEW Free Spirit Tula Pink's ALL STARS collection is here !!! In this listing we have an 18pc fat quarter bundle of floral prints full of whimsy with some surprise woodland creature details. 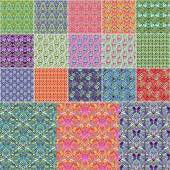 The colors are gorgeous, vibrant and lots of fun for your next project. This fabric line is selling fast so don't miss out! 18pc Fat Quarter 18" x 22"